As Approved by the SMSA Wianno Senior Class Committee, April 19, 1985. Including all Amendments through May 16, 2016. 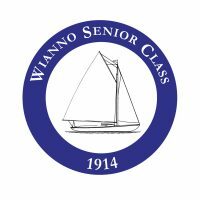 The following rules have been adopted by the SMSA Wianno Senior Class Committee for the purposes of promoting keen and sportsmanlike competition by maintaining uniformity among competing boats, avoiding excessive maintenance and racing costs, and maintaining investment values. NOTE Owners are cautioned that the One Design Rules are not safety standards. It is the responsibility of each owner and skipper to insure that his or her vessel is properly maintained and is carrying appropriate safety equipment. 1. Builder. As used in these rules, “Builder” refers to either (i) Crosby Yacht Building and Storage Co., Inc., and its successor, Crosby Yacht Yard, Inc. (“CYY”), (ii) Shaw Yacht, Inc. (“SYI”), (iii) E.M. Crosby Boatworks (“EMC”), or (iv) Wianno Senior Italia (“WSI”). 2. Class Committee. The SMSA Wianno Senior Class Committee. 3. Wianno Senior. For the purposes of these Rules, in order to be considered a Wianno Senior, a boat must be either (a) constructed of wood between 1914 and 1976 by CYY in accordance with the plans and specifications of CYY dated September 1936 and December 1947, (b) constructed of fiberglass by CYY between 1986 and 1990 using fiberglass components manufactured by North End Marine, Inc., in accordance with plans and specifications approved by the Class Committee; or (c) constructed of fiberglass by CYY, SYI, EMC, or WSI; using fiberglass components manufactured by Whitecap Composites (WCI), SYI or WSI, in accordance with plans and specifications approved by the Class Committee. In the event a boat has not been so constructed the Class Committee may approve such modifications to such boat as it deems reasonable in order for such boat to be deemed a Wianno Senior. II. Fundamental RuleNo modifications to a Wianno Senior as delivered by the Builder are allowed except as expressly provided in these rules. Repairs and replacement parts may be made by persons other than the Builder but must not modify a Wianno Senior except as provided in these rules. Emergency repairs and replacements not inconsistent with the spirit of these rules are permitted. 1. Tapering. The leading and trailing edges of the rudder and centerboard may be tapered to a minimum thickness of 1/2 inch and a maximum depth of 2 inches. Each tapered edge of a wooden centerboard or wooden rudder must be bound by a 1/2 inch half-round or half-oval metal rod. 2. Paint. Any type of paint may be used. 3. Fiberglassing of Wooden Boats. The keel, garboards, centerboard, rudder and decks of wooden boats may be covered with fiberglass and epoxy as desired. No other fiberglassing of wooden boats is permitted except as described in Rules III.4 and and IV.8. 4. Alternative Construction Methods and Materials Used in Restoration of Wooden Hulls. The Class Committee will approve on a case-by-case basis, upon written request, the use of alternative construction methods and materials such as the West System® or fiberglassing of the hull, if the Class Committee finds that the use of such methods and materials was (a) for the purpose of restoring or preserving the hull and (b) did not materially alter the sailing characteristics, weight or appearance of the hull. There is no restriction on the method of repairing, replacing or sistering damaged frames as long as new frames are made of wood. 5. Rails and other Supports. Hand holds, foot rails and supports, and inboard helmsman and crew seats may be added as desired. 6. Ballast. A Wianno Senior must weigh at least 4100 pounds, including all inside ballast and centerboard and rudder but excluding all spars, rigging and moveable equipment. 600 pounds of internal lead ballast must be aboard, provided that a lesser amount of ballast may be aboard a yacht if the weight of such yacht is at least 4,100 pounds and provided that the Class Committee has received a certificate signed by the owner and by a measurer approved by the ClassCommittee setting forth the exact weight of the internal ballast aboard such yacht and the total weight of such yacht. The amount of ballast carried by such yacht may be changed only once during a season and may not be changed during a Scudder Cup Series. A new certificate meeting the foregoing requirements must be provided to the ClassCommittee for each change in ballast. Internal ballast may be placed as desired, but not moved during a race. A lead battery, for use in powering a bilge pump, may be substituted for lead ballast of equal weight. If a lead battery is carried, owners should use caution and assure proper ventilation if the battery is recharged while aboard. A yacht weighing less than 4100 pounds, including 600 pounds of internal ballast, may be declared in compliance with these rules, provided that (1) sufficient additional ballast is added to bring the total weight up to 4100 pounds and a certificate to such effect is provided to the Class Committee and (2) the Class Committee determines that such yacht satisfies all other requirements of these Rules. 7. Tiller Extension. An extension of any type may be added to the tiller. 8. Scuppers. Check valves to restrict entry of sea water into the cockpit may be installed in the scupper drain hoses. 9. Centerboard slot. The minimum width of the centerboard slot opening in the iron is 1-3/8″ When the width of the centerboard slot opening in the iron ballast exceeds 1-3/8″, the slot may be returned to the original design minimum width of 1-3/8″ by any method of repair. Reasonable effort shall be made to insure that any material used to reduce the slot width does not extend into the centerboard trunk more than one inch above the top of the iron ballast. There is no restriction on the type of coating which may be applied to the iron ballast for the purpose of obtaining a smooth finish. 10. Coamings and Cabin Sides. Holes may be drilled in coamings, the deck and cabin sides to allow for the passage of sail control lines consistent with the provisions of Article V.
11. Compass Installation. There is no restriction on the placement or number of compasses. The deck, bulkhead or cabin may be modified as desired to accommodate a compass. 12. Required Hardware and Joinery. Each yacht shall be equipped with the hardware and joinery described in Figure III.12. 13. Centerboard Weight. No centerboard installed in a Wianno Senior after January 1 2008, either as part of a new boat or as a replacement board, shall weigh more than 155 pounds. With the written approval of the Class Committee, the centerboard weight of a centerboard supplied by the builder, may be increased up to a maximum weight of 155 pounds by adding weight to the top of the centerboard, above the static waterline. Before and after centerbaord weight shall be recorded by a Class Committee approved measurer and the Hull Certification Record modified to reflect these values. NOTE The text “installed in a Wianno Senior” is intended to apply to the initial installation of a centerboard and should not be considered to apply to centerboards that are removed and re-installed as part of the annual maintenance of a Wianno Senior. 14. Centerboard construction. A centerboard installed in a Wianno Senior after January 1 2011, either as part of a new fiberglass Wianno Senior or as a replacement board for a fiberglass Wianno Senior, shall be constructed by the Builder using the tooling owned by the Wianno Senior Class Association or Wianno Senior Italia and it shall conform to the measurements specified in Figure III.14 and the weight specified in Rule III.13. A replacement for a wooden centerboard shall be as above or shall be assembled from six 5-1/2” wide, 4/4 finished planks assembled with six ½” diameter bronze drifts. All planks shall be mahogany with the exception of the bottom plank which shall be white oak. Repairs to existing wooden or fiberglass centerboards shall maintain the weight specified in Rule III.13 and shall maintain the dimensions shown in Figure III.14. 15. Centerboard pin location. A centerboard initially installed in a Wianno Senior after January 1 2015, either as part of a new Wianno Senior or as a replacement board, shall have the pivoting pin located 7-1/2” (+/- ½”) above the bottom of the keel, and 124” (+/- ½”) forward of the rudder post, measured from a point 7” above the bottom of the rudder post. Wianno Seniors with a pin location not conforming with these measurements shall be permitted to be modified to conform, noting that the centerboard will also have to be modified to conform to the dimensions shown in Figure III.14. 16. Rudder construction. A rudder installed in a Wianno Senior after January 1 2011, either as part of a new fiberglass Wianno Senior or as a replacement rudder for a fiberglass Wianno Senior, shall conform the the measurements specified in Figure III.15, and it shall be constructed by the Builder using the tooling owned by the Wianno Senior Class Association or Wianno Senior Italia. A replacement for a wooden rudder shall be as above or shall be assembled from 6/4 finished planks assembled with four ½” diameter bronze drifts. Planks shall be mahogany or white oak. Repairs to existing wooden or fiberglass rudders shall maintain the dimensions shown in Figure III-15. 1. Construction and Dimensions. All spars must be of solid Sitka spruce, and may be made from a single piece or from two or more pieces laminated together. The dimensions of existing spars may not be altered and all new spars shall have the dimensions shown in Figure IV.1, provided that the gaff and boom may be shortened. 2. Gooseneck Fittings. Fittings similar to those supplied by the Builder but made of stronger material are allowed, but such fittings may weigh no less than those supplied by the Builder. 3. Mast Partners. The distance between the forward edge of the metal stem fitting and the center of the mast at the partners on a Wianno Senior shall be no less than 7 feet, 7 1/2 inches and shall not exceed 7 feet, 9 inches. There is no restriction on the placement or movement of mast chocks consistent with the requirements of this rule. No modifications to the partners are permitted hereby. 4. Mast Step. No modifications to the mast step of a Wianno Senior as delivered by the Builder are permitted, provided that the mast step slot may be lengthened but shall not exceed a total length of 8 1/4 inches. Solid blocking shall fill any voids in the mast step slot. 5. Sail Track. The original sail track may be replaced with heavier track as desired. 6. Spinnaker Pole. More than 1 spinnaker pole may be on board. The “Old Type” 14 ft. spinnaker pole is not allowed. 7. Whisker Pole. There is no restriction on the use of a whisker pole or other means of setting the jib to windward. 8. Strenghtening of Spars. Fiberglass may be wrapped around the spars and epoxied in place as desired. 1. Sidestays and Forestays.Sidestays and forestays shall be made of ¼ in. 1 x 19 or 7 X 7 stainless steel wire rope. Turnbuckles may be of any type, but must be of at least the strength of those originally supplied. 2. Backstays. Backstays shall be made of 3/16 in. 7 x 19 or 7 x 7 stainless steel wire rope or of synthetic rope with a breaking strength of at least 1450 pounds. Subject to Rule V.16, there is no restriction on the method of controlling or adjusting backstay tension or on the type or placement of tracks, pad eyes, blocks, cleats, or control lines provided that, when at maximum tension, a backstay shall not extend farther aft than two feet aft of the cabin bulkhead. 3. Running Rigging Material. There is no restriction on the material which may be used for sheets, haylards, outhauls or other running rigging. 4. Main Halyards. The main halyards shall be made of rope with a breaking strength of at least 2650 pounds. There is no restriction on the length of either the peak or throat halyard, on the placement, type or number of peak or throat halyard cleats or on the type or placement of the turning blocks at the base of the mast. Subject to Rule V.16, there is no restriction on the type or size of the main halyard blocks, provided that no change in the placement of such blocks on the mast or gaff is permitted.Note – 3/8 inch, 3-strand polyester rope provides a minimum breaking stength of at least 2650 pounds. 5. Main Sheet. Subject to Rule V.16, there is no restriction on the size of the mainsheet or on the type, number or placement of main sheet blocks or cleats, provided that all blocks must be placed on the centerline. 6. Traveler. The restriction of the free movement of the traveler block by any means, mechanical or human, is prohibited. 7. Outhauls. There is no restriction on the diameter, length or placement of outhaul control lines, or on the type, number or placement of outhaul control line blocks, cleats, tracks or cars. 8. Main Downhaul. There is no restriction on the diameter, length, or placement of the main downhaul control line or on the use of Cunninghams or on the placement, number or type of main downhaul blocks and cleats. The gooseneck may be held down by a pin in the mast track. 9. Boom Vangs. The use of boom vangs or any other mechanical device other than the main sheet and main downhaul to control the vertical position of the boom is prohibited. 10. Jib Sheets. Subject to Rule V.16, there is no restriction on the diameter or length of the jib sheets, on the number, type or placement of jib sheet blocks, cleats, tracks or cars or on the use of additional jib control lines. 11. Jib Luff Tension. There is no restriction on the use of Cunninghams or other devices for the control of jib luff tension. 12. Jib Halyard. The jib halyard shall be made of rope with a breaking strength of at least 2000 pounds. Subject to Rule V.16, there is no restriction on the length of the jib halyard or the number, type or placement of jib halyard blocks and cleats except that no change may be made in the position of the masthead jib halyard block. Note – 5/16 inch, 3-strand polyester rope provides a minimum breaking strength of at least 2000 pounds. 13. Spinnaker Halyard. The spinnaker halyard shall be made of rope with a breaking strength of at least 2000 pounds. Subject to Rule V.16, there is no restriction on the length of the spinnaker halyard or the number, type or placement of spinnaker halyard blocks and cleats except that no change may be made in the position of the masthead spinnaker block. No more than one spinnaker halyard may be fitted, but a double ended arrangement is permitted. 14. Spinnaker Sheets and Guys. Subject to Rule V.16, there is no restriction on the diameter or length of the spinnaker sheet or guy, on the type, number or placement of spinnaker sheet and guy blocks and cleats, on the manner of attaching the spinnaker sheet and guys to the sail, or on the use of light air spinnaker sheets and guys with the exception that the placement of spinnaker sheet blocks or other control mechanisms on the boom is prohibited. 15. Spinnaker Pole Control Lines. There is no restriction on the diameter or length of the spinnaker pole topping lift, downhaul or foreguy, on the type or placement of the spinnaker pole track or car, or on the type, number or placement of spinnaker pole control lines, blocks and cleats. 16. Placement of Lines Below Deck. All backstays, halyards, sheets, guys and associated components shall be located in their entirety above deck, provided that the spinnaker sheets and halyard may be led into the cabin through the hatchway opening, the ends of halyards and sheets may be led into the cabin through the hatchway opening or frame for stowage, and the following sail control lines and their associated components shall not be so limited and may be led into the cabin in any manner desired: jib downhaul, boom downhaul, main outhaul, barber hauler lines, spinnaker pole control lines and spinnaker sheet and guy tweeker lines. Mainsail – Mainsail manufactured by Doyle Sailmakers to specifications approved by the Class Committee in 2013, and having a window of reasonable size near the luff which will provide reasonable visibility when heeled. Battens supplied by the sailmaker must be used. Jib – Jib manufactured by Doyle Sailmakers to specifications approved by the Class Committee in 1996. Spinnaker – 3/4 oz. spinnaker manufactured by Cressy Sails or Doyle Sailmakers to the specifications approved by the Class Committee in 1991. Each such sail shall have affixed thereto an official label bearing the Wianno Senior Class Association burgee and the year of manufacture. 1. General. Except as required or prohibited in these rules there are no restrictions on the equipment that may be on board. 2. Electronics. Electronic compasses, speed indicators, depth indicators and other electronic navigation equipment may be carried aboard but may not be used while racing. Any type or number of watches or clocks is permitted. 3. Wind indicators. There is no restriction on the number, type or placement of wind direction indicators except that such indicators must not be electronic. Only hand held wind speed indicators are allowed. VIII. InterpretationsInterpretations of these rules will be made and distributed by the Class Committee as it sees the need or in response to written requests from skippers, owners, race committees or other interested parties. IX. AmendmentsThese rules may be amended by a 2/3 vote of the Class Committee. X. Certification ProceduresThe Class Committee may from time to time establish such inspection and certification procedures as it shall deem reasonable to assure compliance with these Rules.